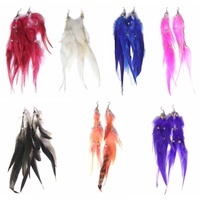 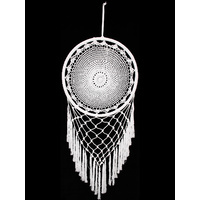 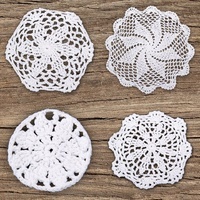 In this item you will receive one 22cm Dream Catcher with Handmade Crochet Star Motif with Lace and Feather Decoration. 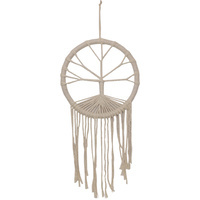 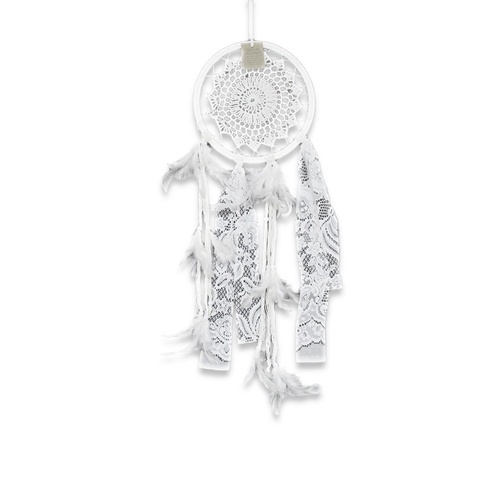 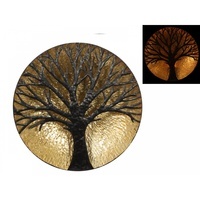 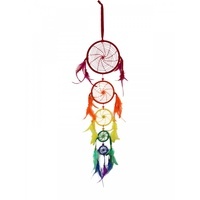 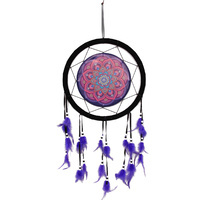 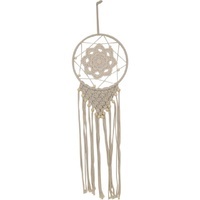 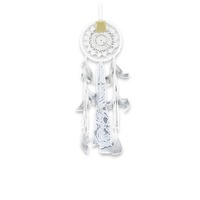 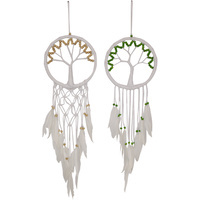 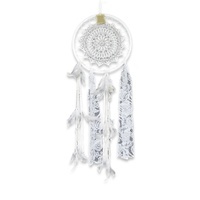 This handmade dream catcher is made with exquisite detail to a high quality making it the perfect bedroom accessory to catch all those wonderful dreams. The white-tone feathers and lace beautifully complements the white star design, making it very appealing to the eye.